If you are from Australia and are seeking to balance your family with a daughter or son, we have a very large community here at GenderDreaming.com that will guide you through the process. We can assist with finding local doctors to begin the process as well as helping you select the best clinic outside of Australia for you. It’s not about “Designer Babies”, it’s not about skewing the gender ratio of our societies, it is about seeking balance within our own lives and our own families and just as choosing to have another child is our rights as individuals, so is choosing to only have that child if it is a particular gender. Most of us already have 2,3,4 of the same gender and are not open to trying again naturally. It’s not about choosing to have a son as a first-born. It is a responsible decision to seek out IVF/PGD before an embryo is implanted rather than go about things the old-fashioned way and then choose to abort because the “baby is the wrong gender”. Termination due to gender is NOT supported on www.GenderDreaming.com and you will not find any information regarding that topic. We support the responsible and sensible approach of using modern technology to select the healthiest embryo and the correct gender prior to transfer and implantation. Often times, extra embryos are donated to other couples that are seeking to have a baby due to infertility reasons. So, there is support, via the Internet, within our forums. There are thousands like you if you are looking for where to begin and we are happy to assist. The IVF/PGD forums are Member-only and thus private from Google searches and anyone casually browsing the site. You must first register and then become a Dream Member to gain access to all of the information. But it is here! 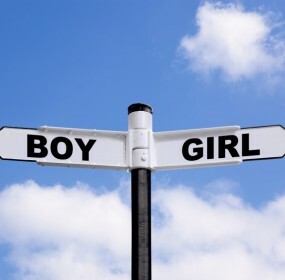 We can help you navigate the world of IVF/PGD and help you bring home your dream baby!